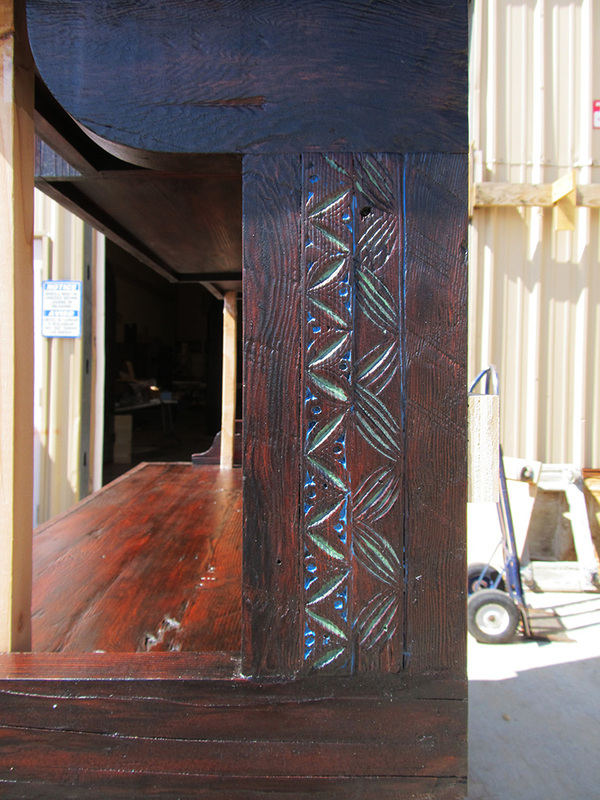 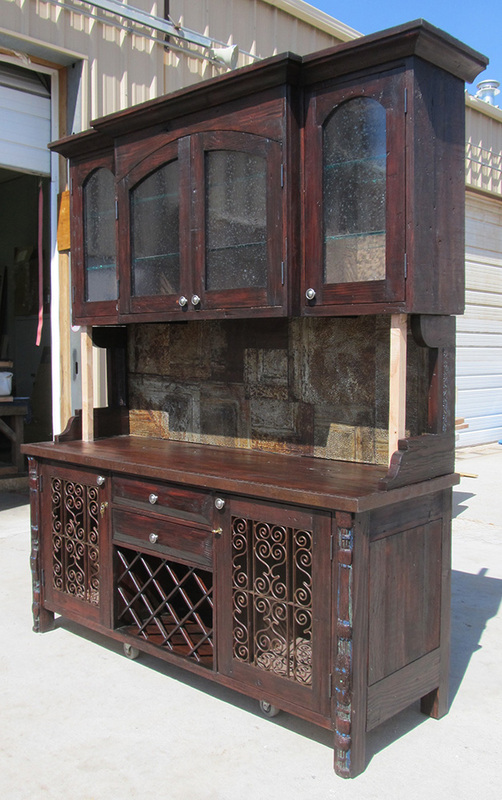 Custom home bar crafted with antique columns, carved panels and reclaimed Douglas fir. 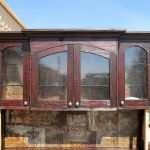 Backsplash is a quilted mix of antique tin. 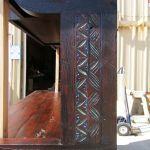 The carving on the antique fragments inset on the sides and on the fronts of the legs are highlighted with bits of colorful paint. 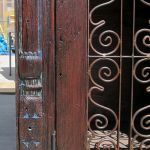 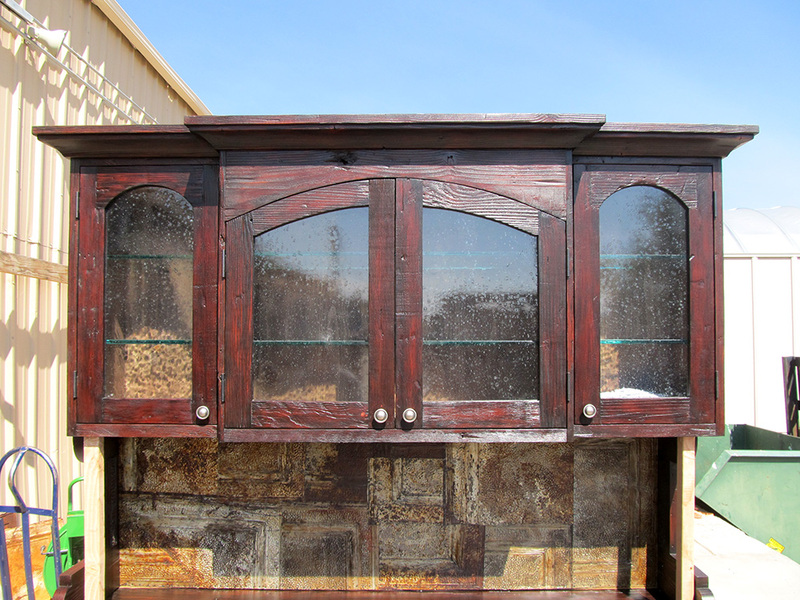 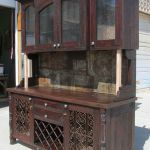 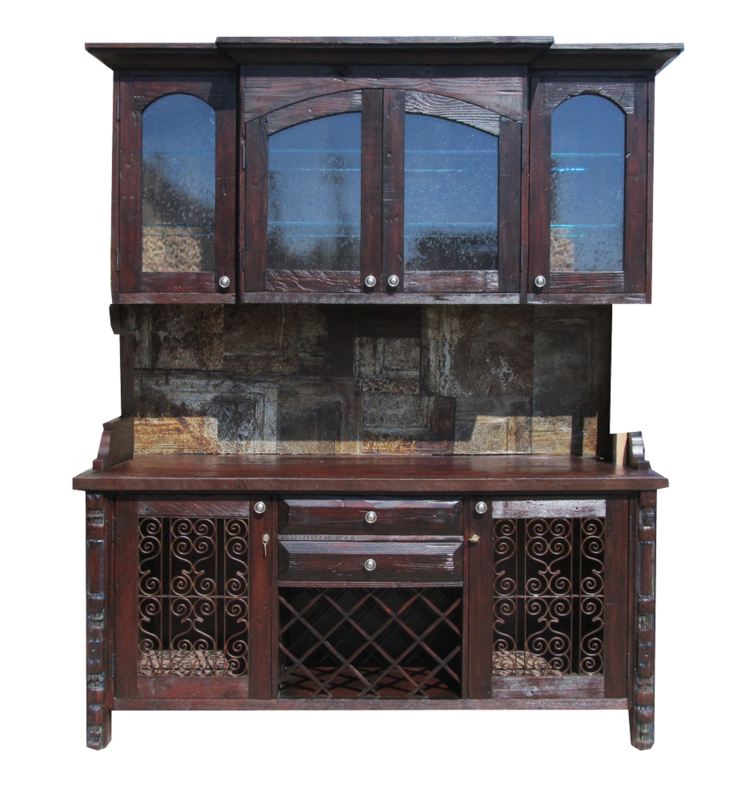 The lower cabinet is fitted with iron grillwork and features a wine rack. 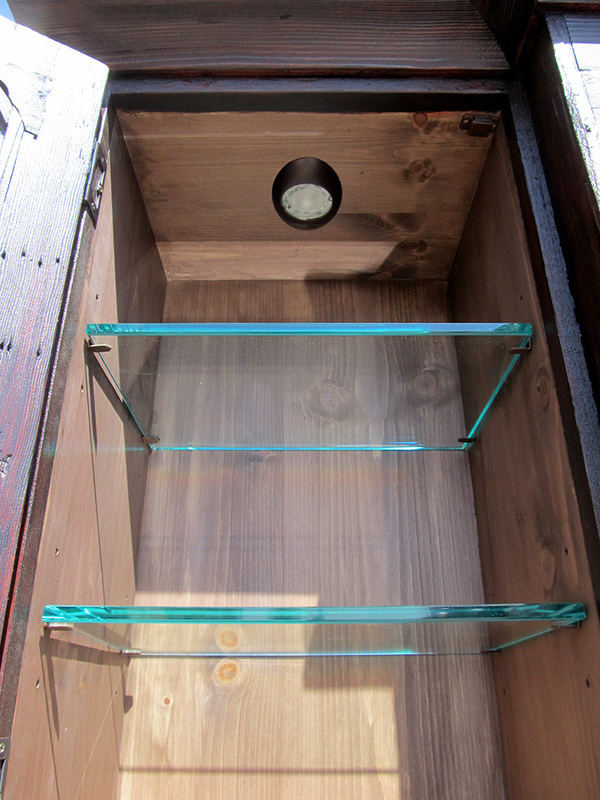 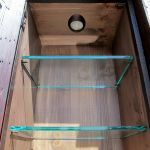 The upper cabinets have artisan bubble glass in the doors and interior lighting.